MLTSS uses NJ FamilyCare managed care organizations (also known as HMOs or health plans) to coordinate ALL services. MLTSS provides comprehensive services and supports, whether at home, in an assisted living facility, in community residential services, or in a nursing home. How is Nursing Home Care covered in MLTSS? Any individuals with NJ FamilyCare entering a nursing home for the first time will have their acute and primary health care managed by the NJ FamilyCare MCOs with MLTSS or the Program of All-Inclusive Care for the Elderly (PACE) program. Individuals on MLTSS also will have his/her acute and primary health care services and nursing home care managed by a NJ FamilyCare MCO. How to qualify for MLTSS? Financial Requirements - These include monthly income, as well as total liquid assets. For more detailed information on Medicaid financial eligibility, click here https://www.state.nj.us/humanservices/dmahs/clients/medicaid/abd/ Note that for children applying for MLTSS, and who meet the nursing home level of care, parental income and resources are not counted in determining financial eligibility. Clinical Requirements - A person meets the qualifications for nursing home level of care, which means that the person requires assistance with activities of daily living such as bathing, toileting and mobility. Age and/or Disability Requirements - These involve age requirements whereby one must be 65 years or older; and/or disability requirements whereby one must be under 65 years of age and determined to be blind or disabled by the Social Security Administration or the State of New Jersey. How to apply for MLTSS? To apply for MLTSS, contact Monmouth County Division of Social Services at 732-431-6000. You can apply in person at either our main office in Freehold or our satellite office in Ocean Township or contact the Monmouth County office on Aging at 732-431-7450 - Aging and Disability Resource Connection (ADRC). Review the ABD checklist before filing your application. If you are applying on behalf of your child or an individual under 21 years of age, you can do so by contacting the Monmouth County Division of Social Services at 732-431-6000 or the Division of Disabilities Services at 1-888-285-3036 (press 2 after prompt and then press 1 after next prompt) to speak with an Information and Referral Specialist. There is another option known as the Program of All-Inclusive Care for the Elderly (PACE) program. To be eligible to enroll, you must live in the PACE provider service area and otherwise be eligible for MLTSS. There currently are four PACE organizations in seven counties. For more information, contact the Monmouth County Division of Social Services or call PACE at 1-800-792-8892. For more information on all Medicaid programs, visit the NJ Division of Medical Assistance and Health Services website. NJ FamilyCare is a publicly funded health insurance for New Jersey residents. 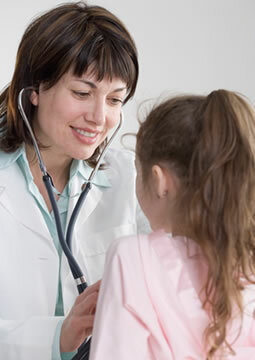 It provides free or low cost quality health care for children and adults. Qualified New Jersey residents of any age can be eligible for NJ FamilyCare. This includes children, parents, caretaker relatives, and adults without dependent children. Eligibility is based on the income and household size reported on the applicant’s latest federal tax return. NJ Family Care also can use other sources such as pay stubs, to verify information. Income eligibility for children is higher than income eligibility for adults. For many people, NJ FamilyCare will cost nothing: no monthly premiums or co-payments. For higher income families with children, there is a sliding scale for co-payment and monthly premiums. Pre-existing conditions do not affect eligibility. In some cases, you must be without medical insurance for at least 3 months to qualify. Because there are exceptions, it is a good idea to call NJ FamilyCare in case you have a question. Adults must have legal permanent resident status for at least five years to be eligible. For undocumented residents, their children may be eligible if born in the U.S.
What is the Federal Marketplace? For individuals and families ineligible for NJ FamilyCare due to income, the federally run Health Insurance Marketplace will help you get coverage that meets your needs and fits your budget. Open enrollment begins in the fall of 2018. If you already have applied to NJ FamilyCare and you aren’t eligible, your application will be forwarded electronically to the federal Marketplace for review and processing. If you know that you are not eligible for NJ FamilyCare, you can apply to the Marketplace directly by going online to www.healthcare.gov or by calling 1-800-318-2596 or TTY: 1-855-889-4325. Complete an application at a Monmouth County Social Services office or call 732-431-6000 ext.4200 to have an application sent to you. The NJ FamilyCare Aged, Blind, Disabled (ABD) Programs are multiple programs for people who need access to health care services in the community, or in long-term care facilities. Information on all the ABD Programs is provided in the NJ FamilyCare Aged, Blind, Disabled Programs Brochure. In determining whether a person is financially eligible for NJ FamilyCare or ABD Programs, the applicant’s financial eligibility will be considered along with his or her spouse or parents. Use the ABD Checklist to see what you may need in order to apply. If you need help filling out the application or have questions, call 1-800-356-1561. You can also print the application by following instructions on the NJ State website, complete it and mail it in. An in-person interview at the County Welfare Agency is not required to apply. If you prefer to have help applying, visit the Monmouth County Division of Social Services’ main office in Freehold or satellite office in Ocean Twp. Call 732-431-6000 for directions. The application process may require additional forms to be completed. The supplemental Designated Authorized Representative and Spouse Information forms must be submitted with your application, if applicable to your situation. For more information on all Medicaid programs, visit NJ Division of Medical Assistance and Health Services.